Clinic Synopsis: This clinic is designed to help music educators of all levels improve their brass teaching. Discussion will include information related to the instruction of the breath, mouthpiece buzzing, embouchure formation, articulation, and common brass myths. Participants will leave the session with information and a handout that can be implemented for immediate improvement. 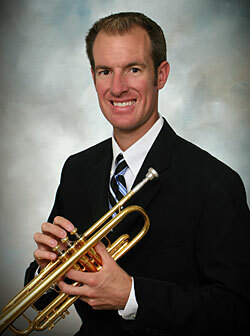 Clinician Biographical Information Marc Reed is assistant professor of trumpet at Fort Lewis College in Durango, Colorado. Marc is a teaching artist/clinician for the Conn-Selmer Corporation, the editor of the International Trumpet Guild Journal’s Band Column, and a member of the San Juan Symphony Orchestra. He holds a bachelor's degree from Drake University and a graduate degree from the University of North Texas.